The top-of-the-range Toyota Auris Hybrid Excel will cost less to run than a more modestly specified, mid-grade Ford Focus, Vauxhall Astra or Volkswagen Golf*. For the company car driver, the personal savings are considerable, too: The Auris Hybrid offers a saving of more than £2,000 compared to a Focus with similar power output and more than £1,500 compared to a Golf over three years and 60,000 miles. The mid-grade Auris Hybrid Icon is a similarly attractive proposition, with total driver savings of up to £1,600 over the same timescale compared to key rivals – including low output eco-diesels. The British-built hatchback is also predicted to deliver significantly higher residual values than its predecessor, while improvements in fuel efficiency and emissions mean less money spent at the pumps and lower tax bills. Market expert CAP predicts a 34 per cent rating for the new Toyota Auris Hybrid Excel, an improvement of five points on the current T Spirit model, and a 35.2 per cent RV for the Auris 1.4 D-4D Icon, a rise of more than six percentage points compared to the current Auris TR. These factors combine with Toyota’s fundamental product quality, reliability and durability, plus sharp contemporary styling and high equipment specifications to make new Auris a strong contender in a hard-fought market. And it’s not just the Hybrid models that are promising to deliver a class leading performance on cost. 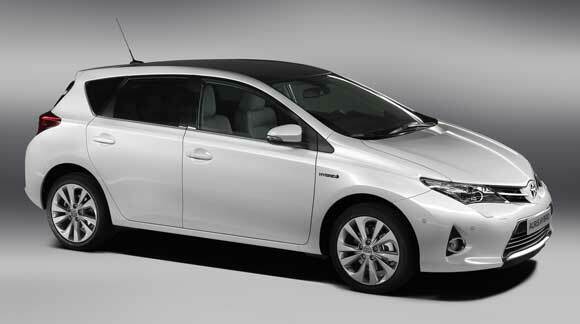 Toyota has also re-engineered the 1.4 D-4D diesel engine in Auris and added a Stop & Start system to increase efficiency. As a result, the Icon model produces 103g/km of CO2 and posts official combined cycle fuel consumption of 72.4mpg. This contributes towards a better pence-per-mile cost* to businesses for the Toyota than the Focus, Astra, Golf and Hyundai i30 (reference KWIK car cost data). Ewan Shepherd, Toyota General Manager Fleet and Remarketing, said: “The economic climate dictates that businesses have to scrutinise every aspect of their costs. 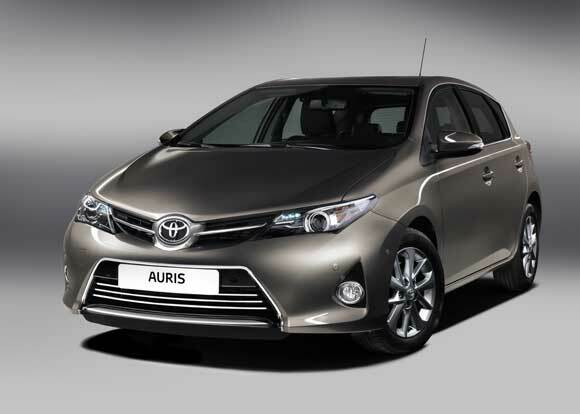 Looking at new Auris’s cost profile there are significant financial advantages to be gained for both fleet operators and business/company car drivers by choosing Toyota Auris. These tables (below) demonstrate how the figures for the new Toyota Auris stack up against some of its main market rivals for businesses and company car drivers. In the first table, the Toyota Auris Hybrid Icon demonstrates its value and cost effectiveness again lower powered diesel models; in the second, the cost benefits of the top-of-the-range Toyota Auris Hybrid Excel can be seen as competitive when measured against other manufacturers’ mid-range models. The independent data is provided by KWIK car cost, correct at 1 November 2012 and calculated on a three-year/60,000-mile term. * Pence-per-mile calculation includes depreciation, service, maintenance and repair charges, fuel, insurance, finance and National Insurance costs over three years and 60,000 miles.